At Outskirts Press, Inc., we take great pride in celebrating the work of our successful self-publishing authors, and we do so each week through our Self-Publishing Author Spotlight. This week we highlight self-publishing author Charles Cranston Jett, who has published four successful titles with Outskirts Press. Learn more about Charles, his US Naval Academy and business experience along with his work ethic and how they are highlighted through his published works through this week’s Self-Publishing Author Spotlight. Charles Cranston Jett is a graduate of the U.S. Naval Academy, served in the U.S. 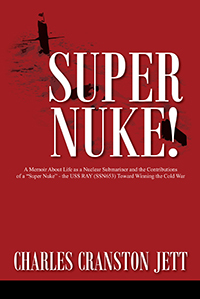 Naval Nuclear Submarine Force, and then received his MBA degree from the Harvard Business School. With 30 years experience in the management consulting and executive recruiting worlds, he participated in strategic planning, marketing and organizational development engagements along with CEO and Board of Directors searches. He worked with corporate organizations in the area of critical skills identification and skill profiling and assisted them in their corporate development programs as well as targeting specific skill profiles for recruitment. 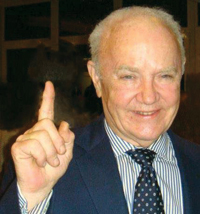 He is the author of several publications as well as being an accomplished and dynamic speaker. He has been featured by many of the nation’s top business schools as well as national conventions of the American Psychological Association. Mr. Jett’s work was featured by the US Department of Labor’s publication, Teaching the SCANS Competencies. He is the creator of the work-based learning software management tool known as Coop2000® and is the author of the two books: The Doom Loop and Field Studies – Challenging Project-Based Learning for High School and College Students. It is harder than ever to compete in a more competitive job market. It’s harder to get ahead, and it’s harder to keep up with rapidly changing technology. So what’s the secret to success in our careers? How do we or our children become productive and thriving citizens in a modern democratic society? 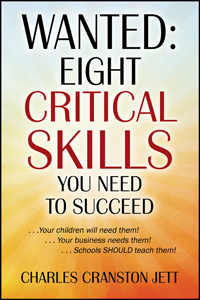 “WANTED: Eight Critical Skills You Need To Succeed” outlines the critical skills essential for success in a career as well as in everyday living – skills not typically taught directly in high school or college. Designed for those who want to advance in specific careers, for students, and for those who seek personal advancement, this easy-to-follow guide clearly defines and shows us how to develop critical thinking, communication, production, information, analysis, interpersonal, time management, and continued education skills. Two-thirds of the American workforce experience boredom and frustration on the job but luckily, there is a simple tool to help. 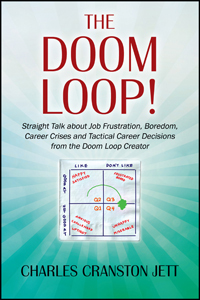 The Doom Loop is an elegant, intuitive and simple career management tool designed to help you make smart, tactical career decisions and to help see you through the seven common crises that nearly everyone faces in their career. It can also help employers take appropriate actions to improve the productivity of their employees by understanding the nature and causes of boredom. Created by the author in the 1970s, the Doom Loop is a 2×2 matrix to help you anticipate and solve problems related to boredom and frustration on the job. This deceptively simple tool can help you avoid making ill-advised job change decisions, and it can quickly give you confidence that a new opportunity will be the right one for you. You don’t need to attend seminars or workshops to use this career management tool. The Doom Loop is straightforward and easy to use, yet powerful in its guidance. 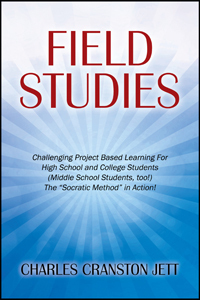 Field Studies is the “Socratic Method” in action, as it helps students develop critical skills through field studies. Field studies are considered by many to be the most powerful tool to teach the Critical Skills. A field study is a project conducted by a team of students to address a problem or issue in the “real world” under faculty supervision. They provide rigorous and learning rich experiences where students can practice and master their skills while working productively with an educational partner. Next Next post: Celebrate Earth Day with these Great Books!